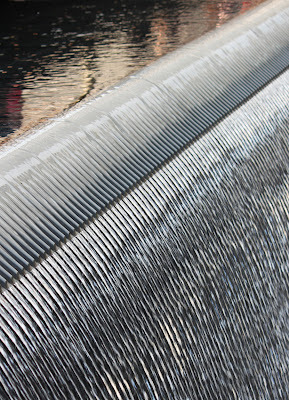 More pictures from the 9/11 Memorial. 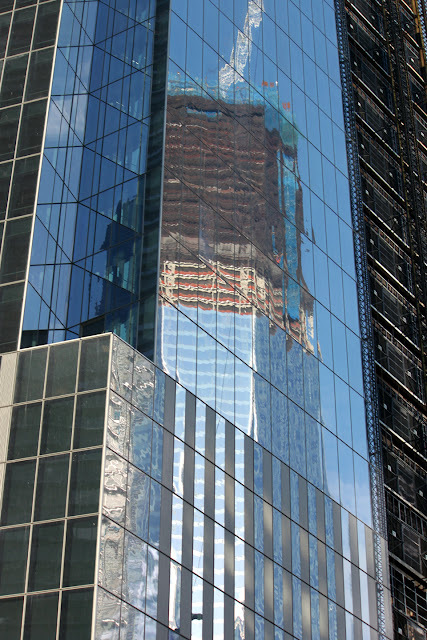 The new World Trade Center buildings are being built around the original site, so here's a picture of one tower under construction reflecting another one. Right, a closeup of one of the memorial pools.